It’s more fun to play the villain. 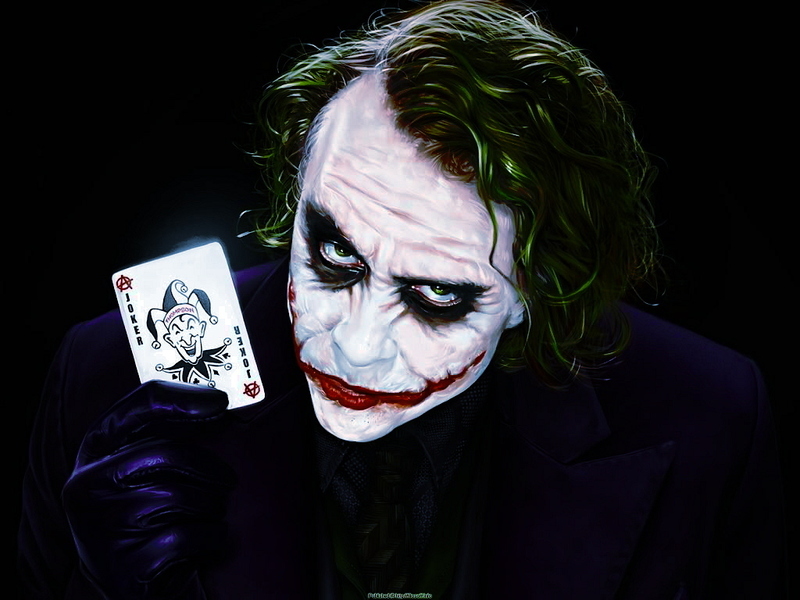 Hollywood knows the power of a well written, complex, compelling villain. Every now and then, along comes a Hannibal Lector, a Joker, a Darth Vader who effectively steals the show. They sometimes upstage the heroes, and often redefine the reason those particular movies are watched. And villains are more fun, more interesting, and make for better conversation. Football is no different – simplistically, it’s also a piece of entertainment with actors, directors, producers, compelling drama, twists and turns, heroes and villains. Sometimes those heroes feel like indomitable figures of valour – and sometimes the villains feel even more twisted than the fictional characters we watch on TV. 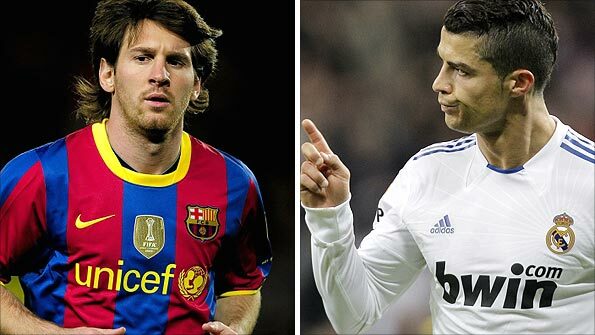 We were treated to a slice of this football heroism recently, where Lionel Messi won a record 4th Ballon D’Or, while his loyal horde of fans spat in the face of Cristiano Ronaldo’s contorted facial expressions as his great rival took the honours. Except, superficially, Lionel Messi is somewhat defined as a hero purely by perceptions. Be it media, fans and the growing popularity of Barcelona and their football, Messi’s positive PR is immune to any villainous stunts. Not true? Well, Messi may be an exceptional football player who has achieved incredible things, but he is not faultless to the darker side of football. It’s just hidden very well. Is it sportmanslike of him to attempt to influence referees and ask for opponents to be booked? What about his small headbutt incident against Shaktar a couple of European Super Cup finals ago? Do most of his fans choose to ignore these transgressions, let alone a certain handball goal scored against Getafe? If you see the video of the handball, a few things are clear. The action is deliberate – there is no room for ambiguity (unlike a certain handball goal scored in the 3rd round of the FA Cup recently). Messi also appears to react with no remorse whatsoever – he celebrates the goal in total joy. Don’t get me wrong – I’m not saying that Messi isn’t deserving of his accolades. There is no doubt he is a gifted footballer, possibly the best ever – but it is curious that football culture, whether it is with media, fans or players themselves, seems to choose carefully who becomes a hero, and who plays the villain, regardless of the total sum of the player’s actions. There are many examples of football heroes, whose “villainous” acts are put down to moments of insanity. Maradona’s hand of God wasn’t cheating, it was part of his genius. Read the same for Messi’s handball goal against Getafe then. Zidane’s headbutt (in a World Cup final, no less) was a momentary lapse of thought, he’s no villain. Eric Cantona is a football legend – so we’ll excuse him attacking a Crystal Palace fan. Former Gunner Thierry Henry handled the ball (twice) to prevent Ireland from qualifying for a World Cup… a World Cup!! Yet many Arsenal fans protect him and prosecute “villains” like Suarez. 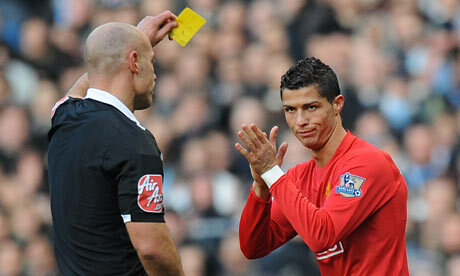 In fact, where you read Suarez, read Ronaldo too. Because those are just two pantomime villains. Two players, two examples, who much of the footballing world has decided are arrogant, conceited, unlikeable individuals, who abuse our poor sport. Yet we have players like Didier Drogba, celebrated as a hero, but whose diving in the past has been so extensive that one wonders if he hasn't had a sniper following him his entire career. Roy Keane went as far as admitting he wanted to hurt Alf Inge Haaland when he practically took his leg off in THAT horrid tackle – but he is remembered as a tough hard man who was respected and successful. Man Utd's captain Nemanja Vidic is regarded and respected as a great professional - so let's overlook his handball defending against Arsenal. Phil Neville committed a handball on the goal-line to prevent a goal in the last minute 3 years before Suarez did the same in the 2010 World Cup. Neville was even caught hitting the floor in the recent Merseyside derby amidst a storm on the topic of diving, but the Uruguayan is the one marketed as a cheat. Of course, the non-Liverpool fans reading this will already have pointed out the hypocrisy in some of my statements above – after all, Suarez’s worst offences are his racial abuse of Patrice Evra and the ear biting incident during his time in Ajax. I don’t dispute nor condone the violent act, it was unacceptable. The incident with Manchester United, however, was exacerbated by Liverpool’s ineptitude as a club to culturally prepare its foreign players for the English game, as well as a series of marketing communication own goals as to how the incident was handled. 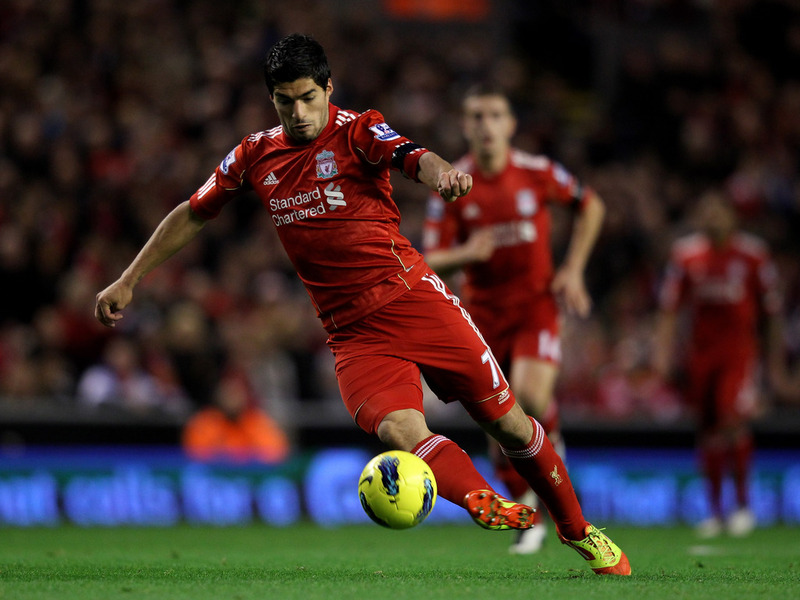 Suarez would have been far better perceived if it had been handled differently. But this shouldn’t justify the personification of Suarez as the ultimate villain of football. Surely if Cantona and Keane are guilty of violent acts, or Terry guilty of racial abuse, they should have faced similar repeated condemnation? But sadly, football is fickle. When the handball occurred against Mansfield, I confess my initial reaction to be the naïve sentiment that he should have come clean to the referee. But hindsight is a fantastic thing, and so is Twitter when you leverage the thoughts of some clever people with a bit more patience and perspective. Let’s not dwell on the incident itself,though I agree with Oliver Holt’s assessment that Suarez’s initial reaction was not delight, but frustration (probably because he thought the referee would disallow the goal). The crux of the matter is this - does footballing culture really possess true sportsmanship? Or is the game so competitive now that the desire to win has started to drive behaviours where the boundaries of fairness are exploited? For example, there’s a principle in football – play to the whistle, simply because of the fact that while the players try to observe the rules, they’re governed by the referee. Players carry on what they’re doing until stopped - it’s the job of the officials to run the game and ensure the rules are observed and managed. So did Suarez do anything wrong by continuing to play in the absence of referee intervention? And it’s not like Andre Marriner had a terrible view of the incident. Mansfield manager Paul Cox himself admitted he would have accepted a goal in the same fashion had roles been reversed. Has he been condemned for that statement? And if such a goal had been scored, more likely the papers would have celebrated a giant-killing, than reprimand an alleged cheat in Mansfield’s ranks. 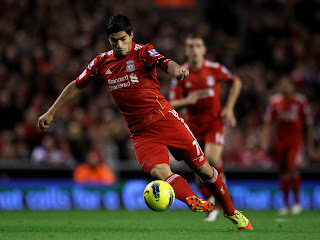 And of Suarez – he is paid to score goals, and help Liverpool win. Why would he choose a gold star in public relations instead of the winning goal? The moralists may not like it, but that’s exactly what football is nowadays. If Suarez can be condemned for a handball goal where there is arguably minimal deliberate movement of his hand, what about Messi’s goal against Getafe? If Paul Scholes had gotten away with this attempted volleyball equaliser against Zenit St Petersburg in 2008’s European Super Cup final, does anyone really believe he would have confessed it? Suarez himself was on the receiving end of a stamp by Stoke’s Robert Huth, and suffered a very obvious foul in the box against Norwich, which wasn’t given as a penalty. If we expect Suarez to confess a handball goal, then should both defenders have admitted these transgressions? Would they have? Thierry Henry’s act of blatant basketball in the box eliminated the nation of Ireland from the opportunity of attending the 2010 World Cup – a seriously big deal. His initial reaction to the goal was sheer delight. His explanation afterwards (aired on Sky Sports News) was to suggest that he would have not volunteered a confession to the referee in that immediate moment. Sound familiar? Let’s all face it – it’s the culture underlying the competitiveness of football today. Perhaps it’s an occupational hazard of being a defender or a forward, but you’re likely to bump into situations in those positions where you could handle the ball. The issue is that if we’re all expecting peaches and cream in the way those players react to their own moments, we’re all very naïve. If in Sunday’s derby between Manchester United and Liverpool, the scenario described by the Fifth Official in his article coincidentally comes true where a Man Utd defender brings down Suarez in the box, do we really expect that defender to admit that to the referee (especially in that game? At Old Trafford?)? The reality is, unless the referee calls it, it won’t happen any other way. We can compare Suarez to Miroslav Klose, but the German’s actions to confess his handball goal against Napoli only occur on the prompting of the referee. Klose didn’t volunteer the information - he had to be asked. Ironically, if we go back as far as 1997, when Robbie Fowler tried to suggest to the referee that there was no contact between him and David Seaman, the referee overruled Robbie’s honesty and still gave a penalty. Maybe Robbie felt aggrieved enough to strike it half-heartedly, but clearly Jason McAteer’s reaction was as most footballers would be – get the goal, get the win. Even one of the most celebrated acts of sportsmanship comes with irony. Di Canio took matters into his own hands – literally – when he caught the ball to stop play, while an Everton player was injured. Who is to say that the referee would have stopped play for the injury had Di Canio not intervened in a manner that prevented play to continue? Go back to Phil Neville’s stunt against Liverpool – if the resulting penalty had been missed, would Neville have been cited as a cheat? Or still as a “heroic” defender, “taking one for the team?” What was fundamentally different between his actions and those of Suarez? Did Suarez miss Ghana’s penalty for them? Or did his actions ensure that within the boundaries of the current rules, Uruguay still had one last chance, however small, to progress to the semi-finals? It is pointless, however, to keep score of all the transgressions. Yes, there are players who don’t put a single foot wrong; others who seldom get caught; others who get caught, but are forgiven; and others who, regardless of their talent, will polarise opinion as the villains of football who are used by lazy journalists to sell newspapers. We can engage in meaningless exchanges about who got away with what, who should have owned up, and who is such a villain that they apparently deserve to have their chests stamped on and their penalty appeals denied. These double standards exist in football, in all their entities – media, players, fans, managers alike. David Moyes can condemn Suarez for diving, (and in turn his own captain J). But I hardly think Moyes would have called Phil Neville a cheat for his handball save against Liverpool in 2007. If we’re going to look for sportsmanship culture to surface in football, think again. This is something that cannot change overnight, and it won’t even start unless players have more and more evidence that they cannot get away with such acts. And that is where the true problem and solution lies. Football remains substantially archaic. Other sports have allowed themselves to change and grow as technology has empowered them to improve. Living in South Africa, I’m often challenged every day about the integrity of football as a sport, when sports like rugby and cricket have allowed improvements of rules and adoption of technology to reduce the ambiguity in how those games are officiated. Football is too open-ended in comparison. Consider this as an example. In rugby, there exists a concept of something called a penalty try. From Wikipedia: “If the referee believes that a try has been prevented by the defending team's misconduct, he may award the attacking team a penalty try. In rugby union, the standard applied by the referee is that a try "probably" would have been scored. In rugby league, the referee "may award a penalty try if, in his opinion, a try would have been scored but for the unfair play of the defending team." Now reading that, if one considers the trajectory and pace of the shot that Suarez palmed off the line against Ghana, it is fair to say that, but for Suarez, that ball could only end up crossing the line into the net. It couldn’t go over, under, around – nor was Muslera, the Uruguayan keeper anywhere near the ball to prevent it crossing legally. It’s an injustice in the rules of football that the response to Suarez’s “illegal defence” is to offer the Ghanaians a penalty – which unlike the goal that was illegally prevented – can still be saved by the keeper, or missed entirely (as ended up the case). If football was a sport that had allowed itself to review its rules and grow for the good of itself, the concept of a penalty goal would exist, where in this example, Ghana would be awarded the goal for the original shot that was illegally stopped… and Suarez would still receive a red card for illegal defence. But instead, some of us as football fans blame a player who instinctively operates within the rules available to find a way to keep his team in the game. We may not like the morality in football – but the rules, and their governing define the morality on the field. Rugby and cricket make use of technology to manage other aspects of their rules as well. I’ve often felt the idea of a TV referee would be invaluable to the sport of football. Ireland claim Henry scored an illegal goal using his hands to gain advantage? No problem. What is 60 seconds of reviewing a TV replay that is highly unlikely to deceive you, vs. risking widespread condemnation of a missed handball that possibly prevented a deserving country from qualifying for the World Cup? If such options existed today, and Mansfield Town could ask a referee to review the handball goal – would that not offer consistent detection and application of the rules? It would also drive the right behaviour. Players wouldn’t “get away with it” as much. Managers wouldn’t have to controversially defend such actions and blame referees. There would be no controversy for retrospective punishments, because decisions would be more likely correct the first time round. Fans would focus more on the football and less on its hypocrisy. And some journalists would have to do some real journalism instead of resorting to their latest submission to the “Blame Suarez” campaign when they run out of ideas. The purists out there would say that rule changes and technology shouldn’t be introduced – something about upsetting the tempo of the game and the unpredictability of football. Well, we may agree to disagree, but if you are going to oppose technology, stop complaining that players get away with certain things – because officials are hardly empowered to avoid mistakes. I don’t see how you can upset the tempo of a game when a controversial goal is scored, because the play is dead until kickoff resumes the match. As for unpredictability – I hardly think more technology would have prevented the unpredictable, but spirited and thrilling performance of Mansfield Town against Liverpool. And these types of surprise performances happen often in competitive leagues. Football’s arrogance and inability to learn from other sports and technological progression doesn’t necessarily only come from the two monuments responsible for its governance (I’m referring sarcastically of course, to FIFA and to some extent UEFA), but also all of its stakeholders. For as long as fans and media blame the integrity of players instead of the disempowerment of officials in dealing with handballs, and sneaky tackles, we give FIFA less reason to do something. Goal-line technology gathered significant momentum when England rightly raised a massive uproar about Lampard’s disallowed goal at the 2010 World Cup. Yet we have some managers who allegedly encourage their players to take advantage of the ambiguity in football officiating by going to ground even if the contact wasn’t heavy enough to get to you to hit the floor (at least, that’s what Jaap Stam claims was instructed by Alex Ferguson to his Man Utd players). Are we surprised that Wenger that suggested Cazorla “lost his balance” in his recent dive against West Brom? Are we shocked that Pulis condemned Fellaini’s headbutt against Shawcross but didn’t reprimand Huth for stamping on Suarez? Are we shocked that Barcelona do nothing to reprimand Sergio Busquets’ attempts to feign injury? No – the priorities of all the above are to protect their own interests. That’s why football needs to get its own house in order. Because it can’t rely on sportsmanship to develop itself within the sport. And we can’t surely expect players to govern themselves on a pitch independent of referees – or do we really think defenders are going to start owning up to handballs in the box and sending themselves off? Do we phone up our local police and ask them to give us a speeding ticket when we’ve been racing over the limit without getting caught? No? Didn’t think so.